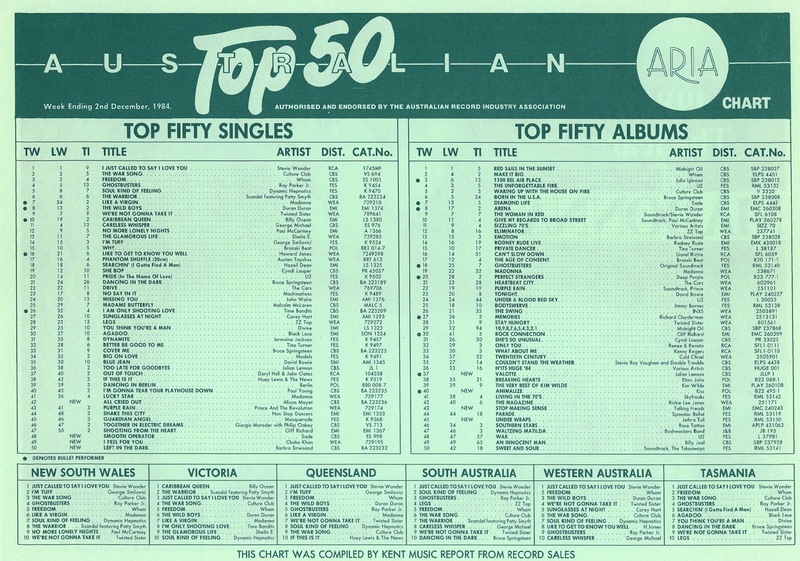 It's not something you see very often - especially in the '80s - so when all the new entries on the ARIA singles chart come from female (or female-fronted) performers, it's worth celebrating it. Interestingly, two of the new songs arriving on the top 50 this week in 1984 were cover versions of songs written by and originally performed by men. Their versions had been unsuccessful, but both turned out to be just what the female singers needed to bring them back to the top 50 following lengthy absences. A male singer who featured on one of the new entries was also enjoying his biggest ever hit, which remained at number 1 again this week in 1984. "I Just Called To Say I Love You" by Stevie Wonder stayed on top for a seventh week. Their last chart appearances - including "Senses Working Overtime" - had come from 1982's English Settlement. After striking out with 1983's Mummer, XTC at least made the top 100 with this lead single from The Big Express. Australia was working its way backwards through the singles from ZZ Top's Eliminator album. This lead single belatedly followed "Legs" and "Sharp Dressed Man" onto the chart. The last time Barbra Streisand had been seen on the top 50 had been back in 1980, with the two hits from her Guilty album: chart-topper "Woman In Love" and the title track. Both of those - as well as the entire album - had been written or co-written by at least one Gibb brother. Four years and a few assorted projects later, Babs returned with her next studio album, Emotion, and kicked it off with this song written and first performed by Jim Steinman. As you'd expect from the man who also wrote "Total Eclipse Of The Heart" and many a Meatloaf song, "Left In The Dark" was fairly dramatic, telling the story of someone discovering their partner has been cheating on them. It'd be another four years before we'd see Barbra back on the top 50, duetting with Don Johnson. It had been slightly longer since Chaka Khan had visited the top 50 - with or without Rufus. In fact, her only previous hit had been with debut solo single "I'm Every Woman" in 1979. That song had reached a disappointingly low number 37, a peak she blew out of the water with the lead single and title track of fifth album I Feel For You. The song was written and produced by Prince, who'd originally recorded it himself on his self-titled album, released, coincidentally, in 1979. Since then, both The Pointer Sisters and Rebbie Jackson had recorded the song, but it was Chaka who turned it into a hit. And she did so by incorporating elements no one else had thought to, including a rap (by Melle Mel) and harmonica (performed by Stevie Wonder). Well, producer Arif Mardin did, since it was his idea to include the rap - rare for a pop song at the time - and recorded it without telling Chaka, who was resistant to the idea at first. She came around and the song became a much-needed hit after a series of less than successful solo efforts. When is a female artist not a female artist? When she's the singer in a band named after her. Ever since Sade made themselves at home in the CD collection of every self-respecting mid-'80s yuppie, they've confounded listeners who assumed Sade referred simply to vocalist Sade Adu rather than the group she fronts. 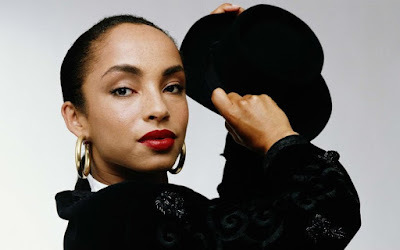 The act for whom the term sophisti-pop could not have been more appropriate, Sade's music combined elements of soul, jazz and pop into a silky smooth package, so it was somewhat appropriate that the band's breakthrough single was "Smooth Operator". Succeeding when earlier UK hit "Your Love Is King" (which was saw last week) hadn't, the song about a fashion-conscious, jet-setting ladykiller was actually Sade's only top 50 hit for almost a decade in Australia, with their upwardly mobile fans opting for the band's albums instead. Diamond Life, which contained (and gets its title from the lyrics of) "Smooth Operator", reached number 6 and stayed on the top 100 for 40 weeks. A female singer with a voice that's just as recognisable as Sade's returned with her second solo single this week in 1984. Not quite as big a hit as "Love Resurrection", "All Cried Out" was another emotive performance from the former Yazoo singer. 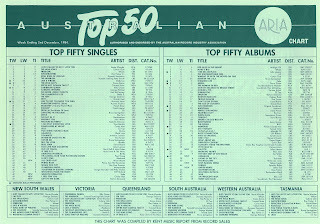 In the UK, it gave Alison her second (of six) top 10 hit, but in Australia, she had to be satisfied with hovering around the top 20, with later singles "Invisible" and "Is This Love?" also failing to match the earlier success of her two top 10 hits with Yazoo. Next week: just the one new entry, but what a belter it is! Plus, some very popular acts do very poorly with their latest singles. 3 really awesome songs debuting on the charts. I'd have to pick Chaka's hit, it's a fantastic dance song with some top notch harmonica work by the blind man on top of the charts lol but 'Smooth Operator' is a terrific song too, having that prominent Jazz vibe & it's very relaxing. When 'The Disappointed' debuted on Take 40 Australia in '92, I recall Barry Bissell reporting that XTC singer Andy Partridge had said they 'only' owe their record company 800k (pounds or dollars, I don't know). I wonder how they got into such debt. Wow, I didn't realise that 'Gimme All Your Lovin'' peaked so low. Interesting fact about 'I Feel For You' - the video actually incorporates footage recorded for a video by another artist (I'm not sure which one)! The footage of the dancers, I assume; which may be why Chaka isn't pictured with them. It's surprising that Sade only had 2 top 40 hits locally, and 8-9 years apart. Though I guess they (it does feel weird referring to Sade as 'they') were more of an albums act.